A vacation in Italy is always a good idea: cities rich in history and culture, breathtaking natural landscapes, not to mention the culinary specialties to be savored. But what are this year’s not-to-be-missed destinations? The prestigious New York Times, as it does every year, has compiled a list of the 52 must-see destinations of 2019. There are two Italian destinations in the ranking: Puglia and Liguria. Curious to find out more about these two regions? Let’s start with our “virtual tour” of the beautiful Bel Paese. You will be enchanted. An idyllic oasis, where you can revel in pure relaxation while enjoying the view of the sea. The name is already a clear reference to the location’s relaxing atmosphere: we are talking about the Golfo Paradiso in Liguria, a fascinating area that is no less delightful than the more famous Cinque Terre and Portofino. 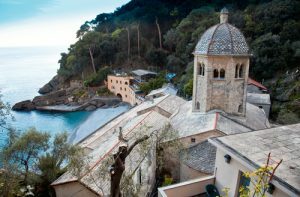 Inserted in the important list of the 52 Places To Go in 2019, the Golfo Paradiso is home to picturesque seaside villages such as Sori, Pieve Ligure, Bogliasco, Camogli, Recco and Uscio (located inland). You may be wondering what there is to see in the Golfo Paradiso. In the area of Camogli you can’t leave without visiting the bay of San Fruttuoso. Here, accessible only by boat or by a long and difficult walk, you will discover the monumental complex of the Romanesque abbey of San Fruttuoso. More adventurous sea lovers can jump right in and go diving to explore the famous Christ of the abyss, the statue by Guido Galletti submerged in the depths of the bay. But the jewels of the Golfo Paradiso and the surrounding area do not end there: don’t miss the opportunity to discover the delightful beaches of Sori, or to explore the gardens of Pieve Ligure and tackle the paths (the one known as the “dei Misteri”) which offer a panoramic view without equal. In a travel itinerary you cannot miss the gastronomic aspect: a stop in Recco is mandatory to taste the typical cheese-filled focaccia, but don’t forget to try the anchovies and pesto trofie too. Liguria is a region to be discovered. Moving away from the most famous and tourist-packed destinations, you can enjoy breathtaking views that only Italy can offer. 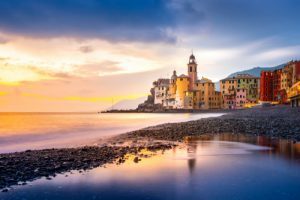 Don’t miss the opportunity to discover Liguria in an authentic way: we at Dragonfly Tours will take care of creating a personalized itinerary to take you to the heart of the tradition of this beautiful area. Baroque architecture and splendid beaches characterize Puglia, the second of the Italian Regions chosen by the New York Times as one of this year’s Places To Go. What is its secret? Puglia offers its visitors expanses of beach and sea that seem to come from a fantasy. 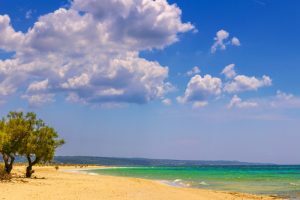 From Gargano to Salento, there is no coastal destination in this region that is not worth visiting. Some examples? Pescoluse, nicknamed “the Maldives of Salento” for its crystal clear and pristine water, a true paradise! 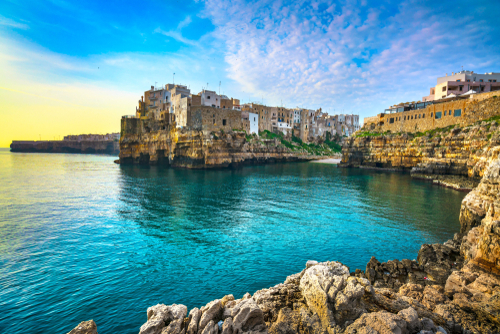 If you are looking for a breathtakingly beautiful marine landscape, move further north to the characteristic town of Polignano a Mare, a village dotted with little white houses that overlook the sea of Puglia. Here, among the most beautiful places to visit, we cannot fail to mention Cala Paura, a cove that opens in a half-moon shape between the rocks of the territory. The New York Times journalists were enchanted le Masserie , or farmhouses, the ancient rural buildings that are scattered throughout the Apulian territory. Today many of these buildings are found on active farms, and the once spartan case del massaro (farmer’s houses) have been converted to become splendid luxury residences immersed in the Apulian nature. 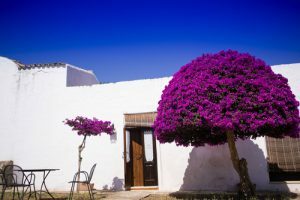 Many famous celebrities, for example Madonna and Justin Timberlake, have chosen farmhouses (that of Borgo Egnazia to be precise) to organize luxury parties and weddings. But a special and deserved mention goes to the wine of Puglia: “the region’s 1,000-year-old wine culture, which began when the Greeks planted vines from their land across the Adriatic, is attracting more oenophiles to the area…” This area is well known for its red wines, among them the highly popular Negroamaro and the Primitivo di Manduria. Treat yourself to a personalized tour to discover the flavors of this land, you will be enchanted. With our 13-day tour of Puglia and Matera you will discover one of the symbols of the Valle d’Itria, the trullo.